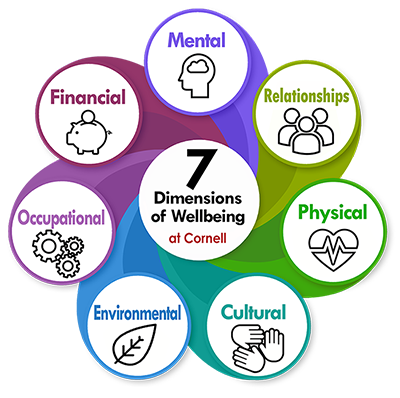 Browse here to find programs for fitness, wellness, parents, and caregivers, as well as services and discounts available to members of the Cornell community. Find resources to support all dimensions of your wellbeing! Learn about the resources available to parents at Cornell, including parental leave, adoption support, childcare, educational workshops and financial assistance. Cornell offers consultation for adult dependent care, as well as programs and networking to support caregivers. Pets are part of the family for many Cornellians -- after all, Cornell is home to a top veterinary school. Check out these resources to support your four-legged friends.